This post is somewhat specific to Pure Storage–the cmdlets of course are universal, but behaviors may not correlate to your storage array. So if you are using VVols on a non-Pure array, certainly consult your vendor. Furthermore, this is certainly specific to PowerCLI when it comes to the commands. With that being said, the fundamentals on how this works with Pure is common for all orchestration tools, so you should be able to use this information for other tools. Though of course the cmds/syntax will be different. How do you do this with PowerCLI? 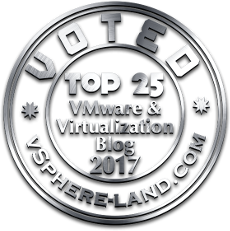 I recently did a VMUG webcast on VVols and there were a ton of questions and unfortunately I ran out of time and could not answer a lot of them. I felt bad about that, so I decided to follow up. I was going to send out emails to the people who asked, but figured it was simpler and more useful to others to just put them all here. You can get my slides here. Would VVols replace the requirements for RDM’s? I’ve had a few customers ask me what are the minimum vCenter permissions required to register a VVol VASA provider. The use case is, I want my storage admin to be able to do it, but I don’t want them to do anything else. One of the most strategic benefits of Virtual Volumes is how it opens up your data mobility. Because there is no more VMDK encapsulation, VVols are just block volumes with whatever file system your guest OS in the VM puts on it. So a VVol is really just a volume hosting NTFS, or XFS or whatever. So if a target can read that file system, it can use that VVol. It does not have to be a VMware VM. Let me start out with: YES our VVols deployment will be GA VERY soon. I am sorry (but not really) for continuing to tease VVols here. This is one of the reasons we do not treat VVols on the FlashArray any differently than any other volume–because they aren’t different! So there is no reason you can’t move the data around. So why block it?? Take a VVol and present it, or a copy of it, to a physical server. On the FlashArray we are also introducing something called CloudSnap, which will let you take snapshots of volumes (aka VVols) and send them to NFS, or S3 to be brought up as a EBS volume for an EC2 instance. What is a Config VVol Anyways? 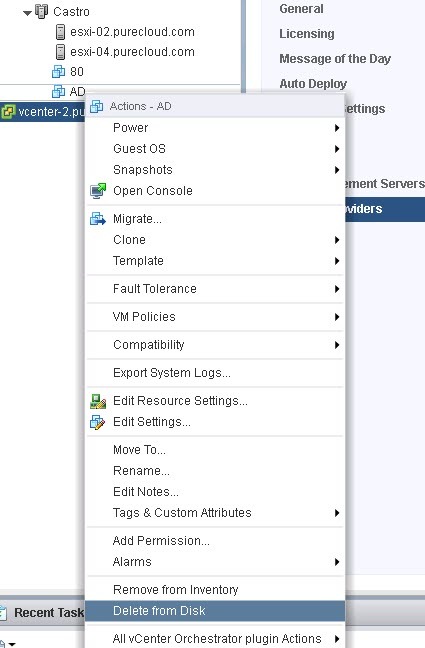 Swap VVol–when you power on a VVol-based VM, a swap VVol is created. When you power it off, this is deleted. Memory VVol–When you create a snapshot and store the memory state or when you suspend a VM, this is created. Config VVol–represents a folder on a VVol datastore. This statement about config VVols deserves a bit more attention I think. What does that really mean? Understanding config VVols is important when it comes to recovery etc. So let’s dig into this. Quick post. I did some light board videos together on vSphere Virtual Volumes. Lightboard videos are pretty fun to do, the unfortunate part is that I have horrible hand writing. So I immediately apologize for that. A common question I get with these videos is how do you write backwards. I don’t. I am nowhere near that skilled, as you can see I can barely write forwards. I write normally which appears backwards and the video team mirrors the video. Migrating VMDKs or virtual mode RDMs to VVols is easy: Storage vMotion. No downtime, no pre-creating of volumes. Simple and fast. But physical mode RDMs are a bit different. Microsoft Clustering. Virtual disks can only be used for Failover Clustering if all of the VMs are on the same ESXi hosts which feels a bit like defeating the purpose. So most opt for RDMs so they can split the VMs up. Physical to virtual. Sharing copies of data between physical and virtual or some other hypervisor is the most common reason I see these days. Mostly around database dev/test scenarios. The concept of a VMDK can keep your data from being easily shared, so RDMs provide a workaround. Scale. Traditional ESXi SCSI limits how many SCSI devices can be seen at once. 256 in 6.0 and earlier and 512 in 6.5. This is still not enough when every virtual disk its own volume. Performance. Virtual Volumes are provisioned and de-provisioned and moved and accessed constantly. If every time one of these operations occurred a SC SI rescan was required, we would see rescan storms unlike this world has ever witnessed. Virtual Volumes provide a great many benefits, some large, some small. Depending on the VM, recovering a deleted VM could be either of those. With traditional VMFS, once you have selected “delete from disk” restoring that VM could have been a process. Either restoring from backup or hoping you had a snapshot of the VMFS on the array. Either way, you are probably going to incur data loss, as the last backup or snapshot is unlikely to be from the time right before the deletion. Let me be VERY clear here. Regardless to the rest of this post, I am not saying once you move to VVols you do not need backup! You absolutely still do. VVols just give you a nice way to do an immediate recovery of the latest point-in-time without having to lose anything, assuming your array support it.